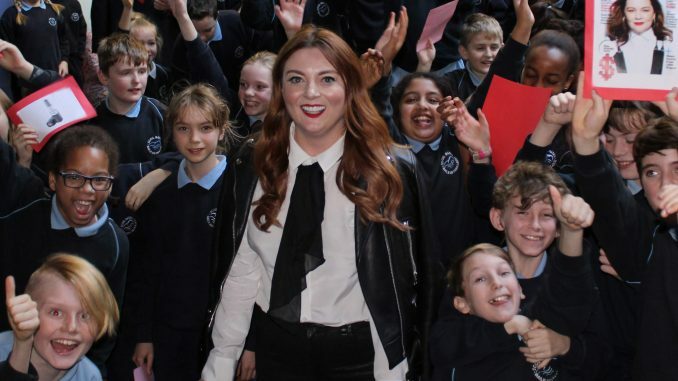 Scoil Barra was honoured to welcome our past pupil, Samantha Barry on Friday the 30th of November. The pupils and staff were delighted to meet Samantha and celebrate her wonderful achievements. Samantha has been hugely successful in her career in media working for RTE, BBC, working as head of Digital Media for CNN and she has revolutionised Glamour magazine as it’s new Editor-In-Chief! Samantha spoke to pupils about her life, work and gave them massive inspiration and encouragement.